We are the leading manufacturer and suppliers of the robust forms of the industrial air release valves in India. It is composed of cast iron and cast steel. They can automatically release accumulated air and gases from the fluid system while the system is working. 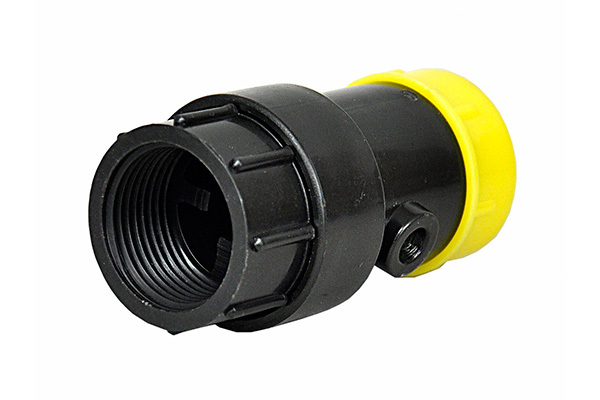 The combination of Vacuum Breaker with Air Release Valve eliminates air and prevents vacuum formations in waterworks piping systems. A large venting orifice and large float clearances freely exhaust or admit air during pipeline filling or draining. Our range of Air release valves is comparatively bigger in size and is used to handle more pressure. An air release valve can open against internal pressure, because the internal lever mechanism multiplies the float force to be greater than the internal pressure. This greater force opens the orifice whenever air pockets collect in the valve. Air Release Valves are essential for pipeline efficiency and water hammer protection. Our specially manufactured air release valves are featured as high tensile strength, reliable in use, high in quality, excellent in design and also capable to provide the longer service life.